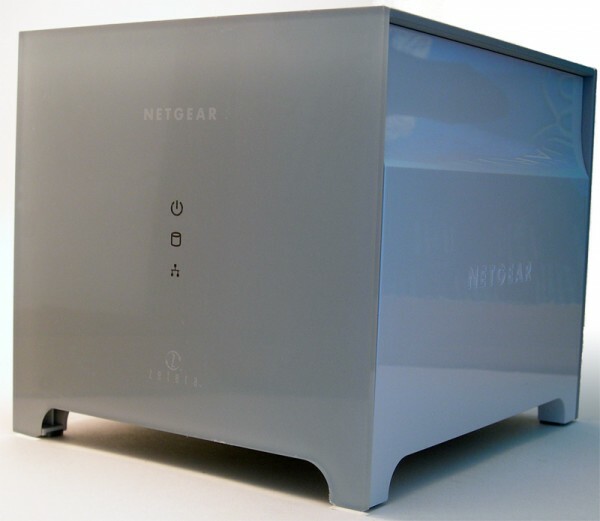 Earlier this year during the Consumer Electronics Show, Netgear announced their new Storage Central Turbo (SC101T). Although it only reached store shelves a few months ago, this is still the newest version of Netgear’s bestselling Storage Area Network (SAN). The SC101T is much faster and much more versatile than its predecessor, allowing for multiple users to access data simultaneously and even protecting music, photos and videos. The SC101T is a great Storage Area Network (SAN) (aka. Network Attached Storage – NAS), providing gigabit speeds. When coupled with a gigabit router, can offer fast backups and data access for networked machines. In addition to allowing 2 SATA hard drives, of any size, to be combined, the SC101T offers amazing upload speeds. After running a quick test, my results showed that it only took approximately 3.5 minutes to upload a 4.5GB file through my gigabit connection versus the 8.5 minutes it took using a standard 10/100 Ethernet connection. To further test how well Netgear’s Storage Central Turbo would perform, we connected the unit to three wired computers through a gigabit connection and a single wireless media streaming device. After loading up large separate video files on all the units at the same time, our computers and media streaming device continued to receive the data seamlessly. Despite so much data flowing through, the video continued to play without any staggering, delays, or hiccups. It was quite impressive compared to the previous generation of NAS devices. The Storage Central comes with the Storage Central Manager Utility, which is required to be installed on our machines to be able to access the drive or make any administrative modifications. 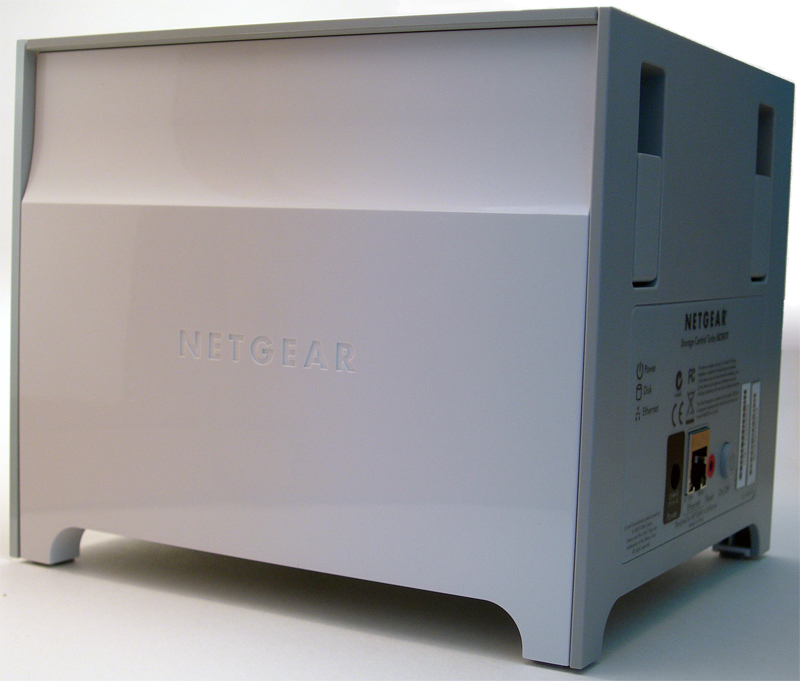 This was one of the main pitfalls to Netgear’s product since the user-interface wasn’t too friendly (still usable). One thing that made us give this a thumbs up was that fact that the drive combinations didn’t need to match and it even supported a RAID configuration. We highly recommend this to anyone who has multiple machines on a network and manages a lot of media. It is extremely worth the investment to backup your data instead of having to spend a few thousand dollars and go through a long and tedious process to have your data recovered if your Hard Drives fail. For just $150, Netgear’s Storage Central Turbo (SC101T) is well worth the money. This of course doesn’t include any hard drives, but it won’t be too expensive as prices are continuously dropping. A 500GB 7200RPM SATA hard drive costs just $130 now. If this “solution” is too expensive, we recommend just purchasing an external hard drive to backup your important documents. It isn’t worth the pain of loosing years worth of data because of something as simple as a power surge. I’m an IT professional and sold this product to a big client of mine. I made the install and the device did not function bad at first, but then came an upgrade of the firmware and of the software utility to manage the SC101T from every single client of the network. TWO of the PCs had the OS (WIN2K) simply destroyed, with BSOD (Blue Screen Of Death) after forced restart. No way at all to repair it. I contacted Netgear Support (at European level) and they spent three weeks (I suppose doing nothing), then called me and said that the problem was mine and to restore a backup older than the original installation made in June! I also wrote on Netgear forum (where a lot of people have the same problems also with the SC101 software and with XP pro clients), but my post about terrible support was not published as ‘offensive’. To add bad to bad this product does not support 64 bit OSs and wont never do. Simply skip it and buy something else and better, if you mind the safety of your precious data. I got a beta version of the SC101T and I have had it for about 6-7 months now and it has been working perfectly fine for me. I have done the updates and everything. Never had any problems with the reliability. That is quite horrible it must have been a mess. Netgear is going to be releasing some new units soon, so hopefully they are compatible with 64bit systems and are more reliable. As for general use purposes, our unit worked perfectly. One of our authors has actually had one of these units running for a few months with no problems whatsoever. I’ve never dealt with Netgear’s customer support so I wouldn’t know how well they treat their customers. If you find a better and more reliable solution please let us know which one you used, we’d like to review it for our readers. Our unit too was working fine, until we were oblidged to apply that simply buggy software upgrade to 14 Windows machines. So the problem is not about the hardware, but about terrible upgrade procedures writers and testers and horrible (as a matter of fact completely useless) support. I’m not interested at all in new Netgear products compatible with 64 OSs because I’m absolutely sure that the minimal problem I can face has no support and no solution. I had the same problems and when I tried to reuse the hdd in the SCT101T I found that it is a proprietary format and whilst bios sees the drive neither windows nor Vista will assign it a drive letter and it wont allow reformatting. Great so I lose the unit and the HDD as well. Netgear support wants to assist me to get the storage unit working. I dont want that I want my HDD back.